19 daily newspapers. 25 weeklies. More than 100 web sites and specialty niche publications. Minority ownership in 17 radio stations. A digital agency specializing in web site development, social media marketing and other digital services. And hundreds of thousands of loyal readers and customers. Headquartered in picturesque Cape Girardeau, Missouri, with operations in nine states, Rust Communications is a second-generation family media company that thrives because of its commitment and service to local communities, the development of talented staff, and the constant experimentation with media innovation. If you want to work with interesting people, live in a small town with all the charms that represents (while, if you desire, having a career path that could lead you to bigger markets), and you are excited about impacting your community in meaningful ways, then working for one of Rust Communications' media groups is something you should explore. 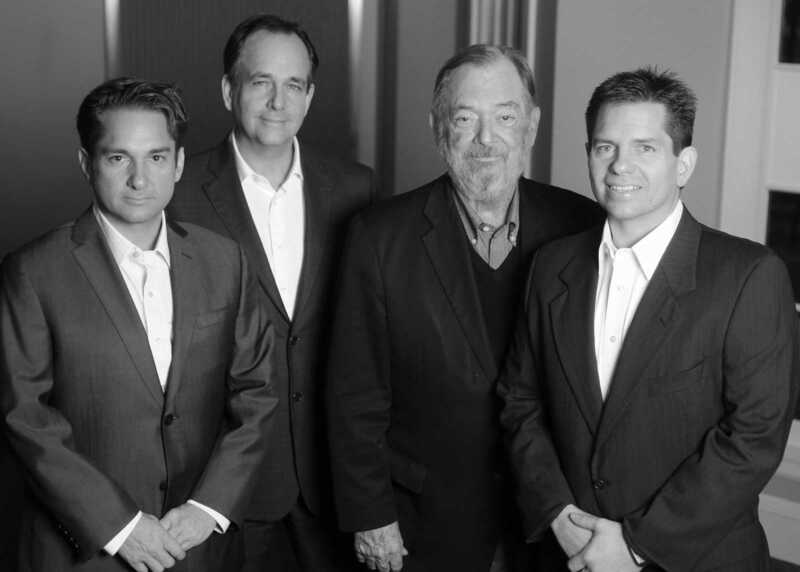 From left to right, Jon K. Rust; Gary W. Rust; Gary W. Rust, Sr.; Rex D. Rust. 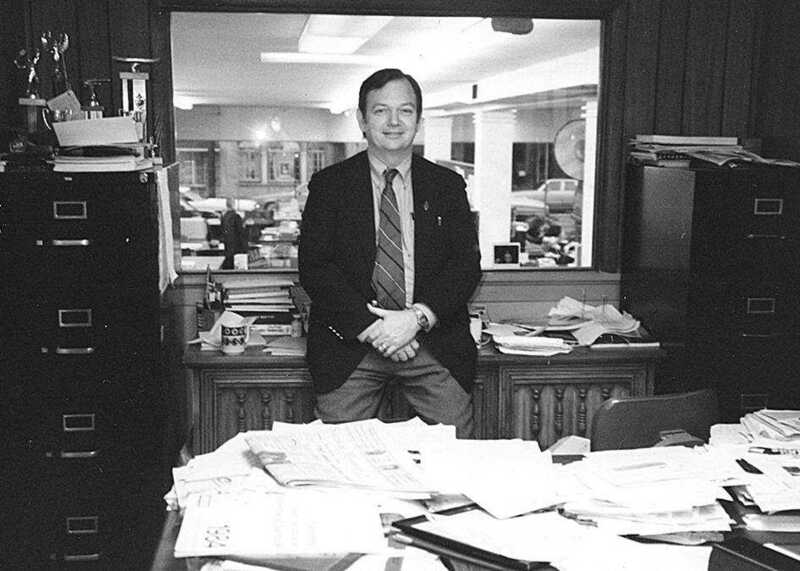 Gary W. Rust founded the company in 1967 when he and his wife Wendy purchased the Weekly Bulletin newspaper in Cape Girardeau County, Missouri. Through hard work, business vision and a reputation for integrity and service, Rust and his team of talented managers grew the small weekly into one of the leading newspaper companies in the country. For his business accomplishments and community involvement, he received many of the newspaper industry's highest awards and was inducted into both the Missouri Press and State of Missouri Hall of Fames. In 2001, Rust retired from the daily management of the company and turned over the reins to sons Jon K. and Rex Rust, co-presidents, who were recruited back to the family business from Harvard Business School and venture capital investing, respectively. He remains as chairman of the board. The Rust brothers have relied on an outstanding group of publishers, reporting to regional vice presidents, for leading operations locally. "We know what differentiates us from other media organizations is being great on the street, and that starts with local leadership," Jon K. Rust said. "Customer service. Sales relationships. Community involvement. Daily operational management. Quality news writing. Talent identification and development. All of these are done best locally. What we try to do from the center, Cape Girardeau, is to provide network support to our local managers in areas like database management, research and development, back-office systems, technology platforms, legal support, group contracting and business strategy." "The major pure-play digital companies can't compete on the street," Rex Rust said. "Our challenge is to continue to grow relationships with our customers into the digital world by providing them the kind of trusted, high value service they've known from us for decades. It's an exciting business with powerful ways to impact our communities for good, and we like to have fun doing it." Leading the company's digital agency, rustmedia, is a third brother, Gary W. Rust, II. Gary joined the company after launching an international marketing firm and working in Japan for more than 11 years.